Have you ever forgotten a password? 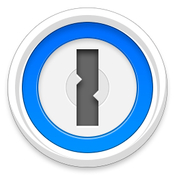 1Password can remember them all for you and keep them secure. All you need to remember is your Master Password. Every day there are new passwords to remember. If you create new ones they are often forgotten. If you use the same passwords over and over again you become vulnerable. 1Password solves all these problems. We’ve joined the Yosemite Alliance! - Fresh new design that fits in perfectly with Yosemite. - Added support for the Dark Side (er, Dark mode). - Inspiring new icon, hand-delivered by a gold robot and his mischievous trash can. iCloud sync upgrades have arrived! - Powered by Apple’s next-gen sync for faster and more robust syncing. - ***Important Note*** As such, iCloud sync now requires 1Password 5 for iOS 8 and 1Password 5 for OS X Yosemite from the Mac App Store. Wi-Fi Sync got a Hyperdrive! - Attachments can now be synced over Wi-Fi with 1Password 5 for iOS. - Syncing starts automatically as soon as your device is on the same network. Many other improvements and fixes based on your galactic feedback. 1Password never prompts you for a review. We value your workflow too much to interrupt it. If you feel generous and have a couple of minutes, please leave a review. It makes a huge difference to us. Thank you in advance! We love hearing from you! Get in touch with us at support@agilebits.com, @1Password on Twitter, and Facebook.com/1Password.